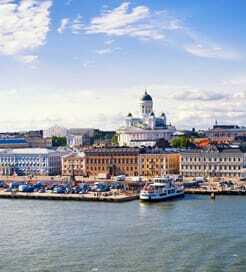 There is currently just the 1 ferry route running between Finland and Germany operated by 1 ferry company – Finnlines. The Helsinki to Travemunde ferry crossing operates weekly with a scheduled sailing duration from about 29 hours 30 minutes. Whilst we’ve taken great care to ensure the information on this page is correct, as the frequency and duration of crossings on all routes can vary from time to time we’d advise that you get a live quote for current availability on this Finland Germany crossing between Helsinki and Travemunde. 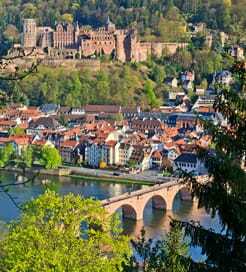 Germany sits in the heart of Central Europe, spanning from the North and Baltic Seas down to the Bavarian Alps. Birthplace of Einstein and Beethoven, and inventor of the automobile and MP3 technology, Germany has shaped the world. Today, it has one of the world’s largest economies, boasting some of the most unforgettable, diverse landscapes on the continent, too. Upon its tapestry are winding rivers, fairy tale castles and glorious mountain ranges. The capital, Berlin, known for the namesake wall and Brandenburg Gate, is a nightlife hub and haven for the arts, whilst the famous Bavaria region, sitting at the foot of the Alps, attracts beer, sausage and pretzel fans from around the world. The 2,389-kilometre German coast has multiple ports and ferry terminals. Choose from regular ferry routes, operated by many companies, from Scandinavia across the North Sea and from numerous countries in north-eastern Europe across the Baltic Sea, allowing easy access to Germany’s northern cities.